This container is a great container with an open access front for a great overview in a Warehouse. | George Utz Ltd. This storage bin SILAFIX support for the storage of small parts. Use this storage bin for a clear order in your warehouse and quickly access the required articles. 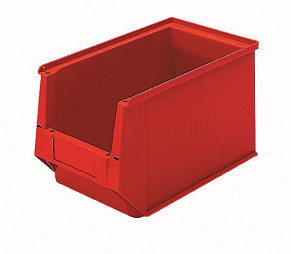 This storage bin plastic in red, 350/300x210x200mm is available in size.